Simply translated as “Fish Stomach”. This curry is accompanied by herbs and vegetables. It is difficult Nyonya dish and a long process to cook. 1. Boil curry paste stock for 15 minutes. 2. Add the shredded vegetables, pickled fish stomach and prawns. Looks really delicious and your curry paste sounds awesome! I haven’t heard of pickled fish stomach actually. Sounds interesting. Perut Ikan is such lovely herbally tasty soup. Has been a pretty long time I had a authentic perut ikan soup. 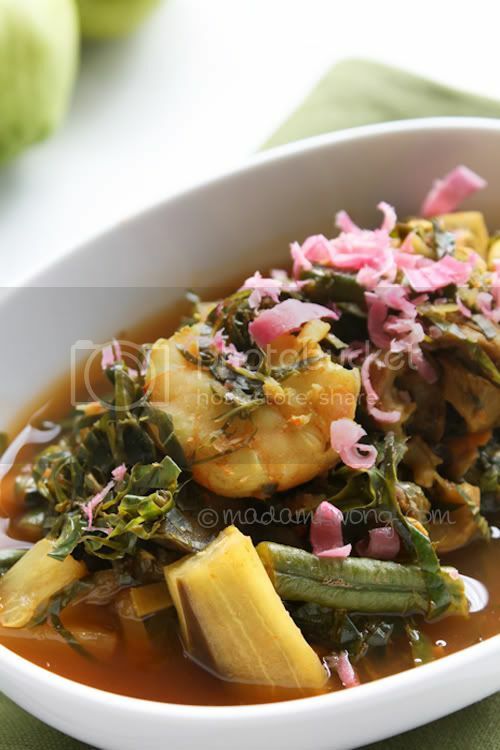 Thanks for the recipe, I know there’s plenty of preparation to cook a tasty perut ikan soup. Furthermore, it tastes even better overnight.